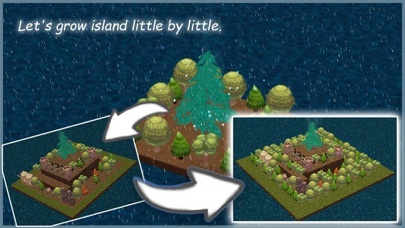 While creating an island, you can heal it while listening to rain and music. 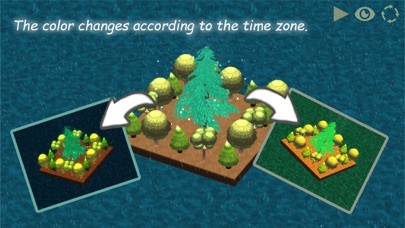 You select "Layout" and put land, tree. 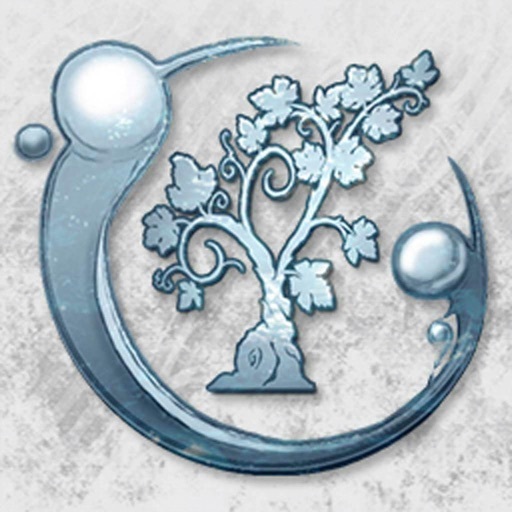 Tree can get Energy, coin and wood. 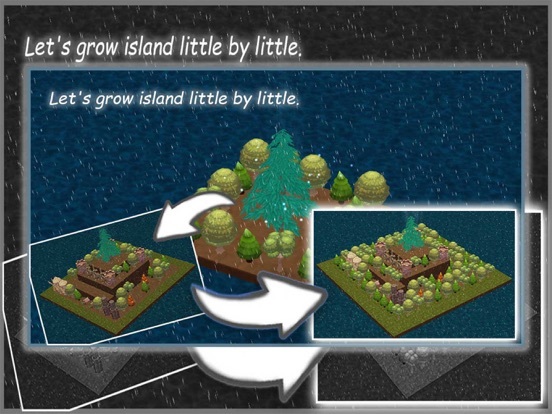 Energy make island grow up. Sound changes day by day. There is a sunny day only once a week. 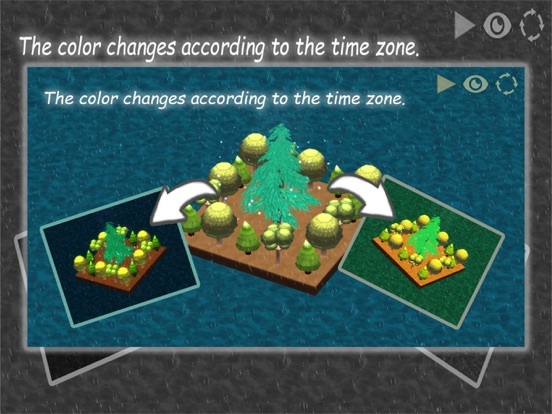 The color changes according to the time zone. You can get a heritage by using crystal. 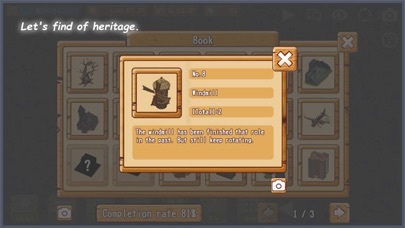 When get a new heritage, it will be added to the book. Crystals can get from quests and birds. 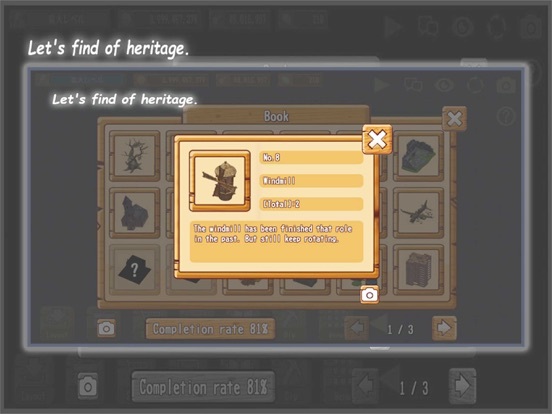 Heritage is planned to increase with the update. Can challenge quests three times a day. When you clear the quest, you get energy and items and so on. ※ Reset at twelve o'clock am(UTC + 9). 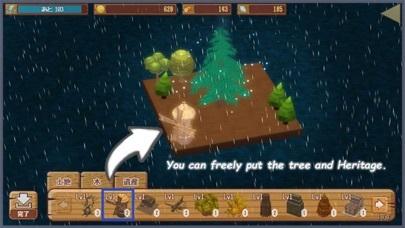 You will be able to visit an island created by another user. 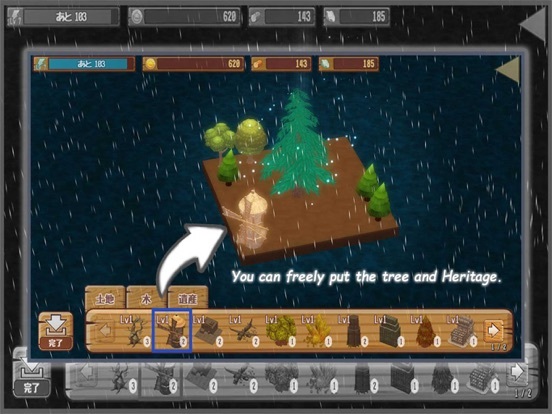 If you tap huge tree, can get items (three times a day). 1. Quit app or go to background. 2. Can get energy, coin and wood after the elapse of a certain period of time. If stock runs out, you may not be able to watch ad movie. ※ Depending on your model, movies may not be supported and may not be played properly. If you buy "Skip ad movie", you can skip ad movie and get item. You can purchase with "Store". ※ Once purchased, the effect is permanent. ◇ Cloud save and load. Save : "Menu" - "Save"
Load : "Title" - "Load" - Input "Backup code" and put "OK" button. ※ "Backup code" is on the menu.